Control Panel > Hardware and Sound > Devices and Printers > Game Controllers > Advanced Settings: Select "Preferred Device"
RE: Logitech Dual Action (PSX2-a-like) controller. 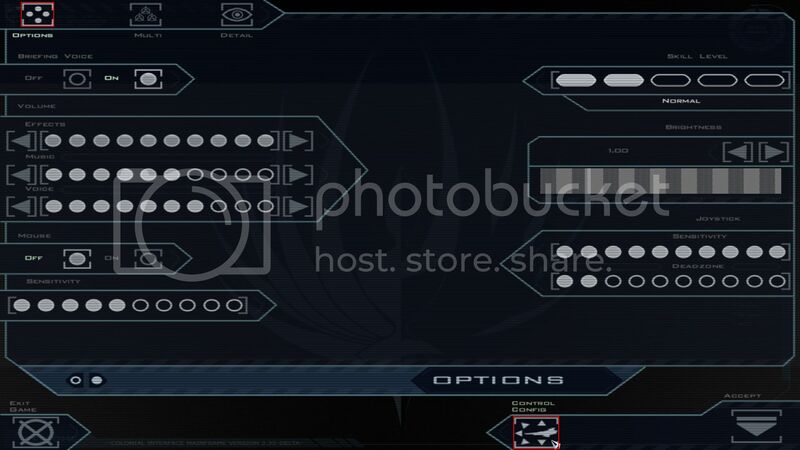 Almost "works", as in the left analog stick and all 12 buttons are acknowledged by Diaspora but the right stick is not recognized or configurable within the options as far as I can tell. Without the Right hand stick the numberpad is the only choice available for pitch/Roll etc, making it impractical to use the controller at all. I have tried vibmod 3.0 in various set ups but with no joy. XPadder most likely could be used but the precision from analogue input is preferable for pitch & roll. Is there a fix or will Diaspora support plug n play of popular controllers? 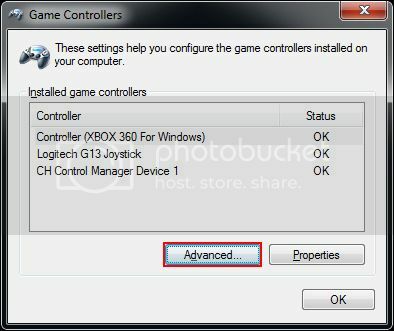 Even if its 'only' Xbox360 controller support that will suffice as there are adequate quick fixes for the Logitech controllers using Vib mod - found here http://rumblepad2.blogspot.co.uk/ - to utilize the xbox360 input. 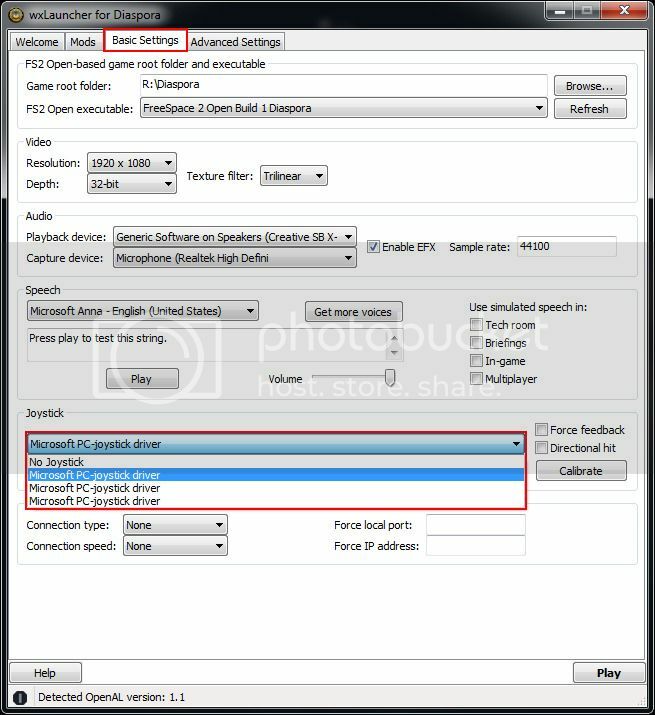 direct x.
what "xbox controller files"? where are they? can you post links & any screenshots etc if useful, please? would be nice to have this info so others may benefit. Using a Saitek X45 dual joystick and can't get it to recognize the left hand throttle. I can't increase or decrease thrust with it. I don't want to have to reach over to press A/Z every time I want to change speed. Any suggestions on how to get it to recognize the throttle? Also, noticing that there are a lot of commands to bind in this game... which are the truly necessary ones in-game? I had the 45 and the slider on the throttle was what worked, sorry cannot remember how I fixed it but bought the x52pro. All I did was remap the throttle ingame works fine. Kind of an obvious question, but did you try to bind the absolute throttle axis to the actual throttle? I ask because I have a full HOTAS setup and never had an issue getting the throttle to work on my G940. It does need to be manually bound to the proper axis in-game though. As for necessary commands, I'd say you need the basic ship controls (yaw/pitch/roll/throttle + full throttle key for tube launching), glide (there are two versions - glide toggle and glide while pressed - either will do, it depends on what you prefer), fire primaries, select and fire secondaries, countermeasures, and basic targeting controls (cycle through all targets, cycle through enemy targets, nearest hostile). - comms (easy enough to use and arguably in the necessary category, but it is possible to finish the game without using it; it can be quite helpful though). I followed this guide to the letter.It keeps asking that I have unbound controls. THen it goes back to the menu again argh. I'm using an xbox 360 gamepad. Which control is it saying is unbound? Have you installed the latest patch? Also did you play Diaspora and then install the patch? Cause that could possibly cause issues (Just make a new pilot and try it again). 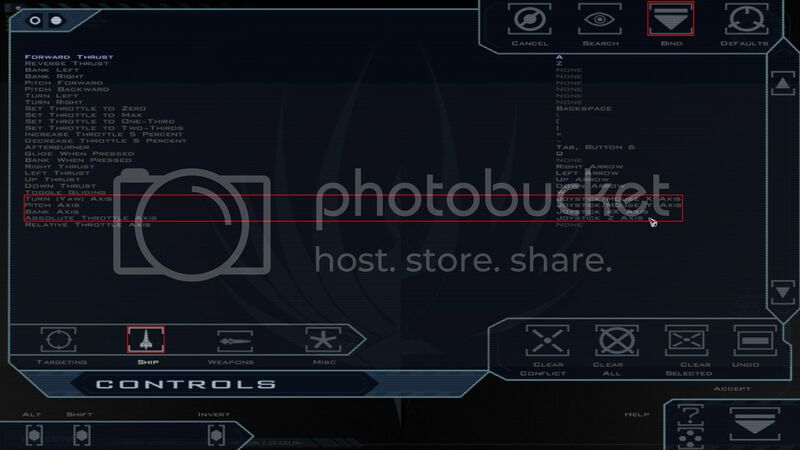 If you're using the Saitek dual joystick/throttle setup make certain you have the control panel up and running before starting Diaspora. 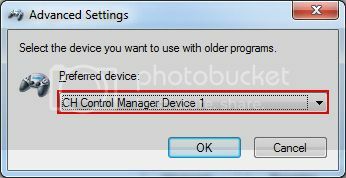 If the control panel isn't opened, the program will not allow you to setup each button the way you want to. This may also work for non-Saitek joysticks, see attached photo.